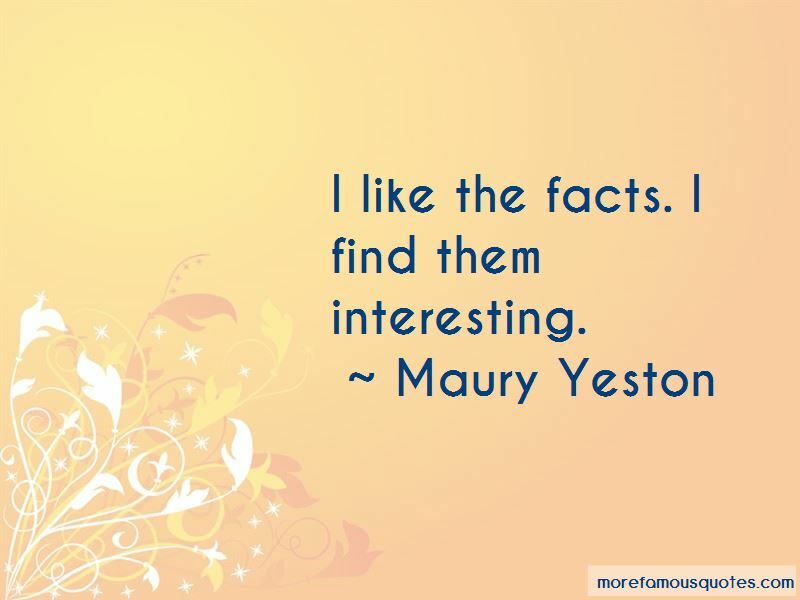 Enjoy the top 14 famous quotes, sayings and quotations by Maury Yeston. I am usually a pacer. 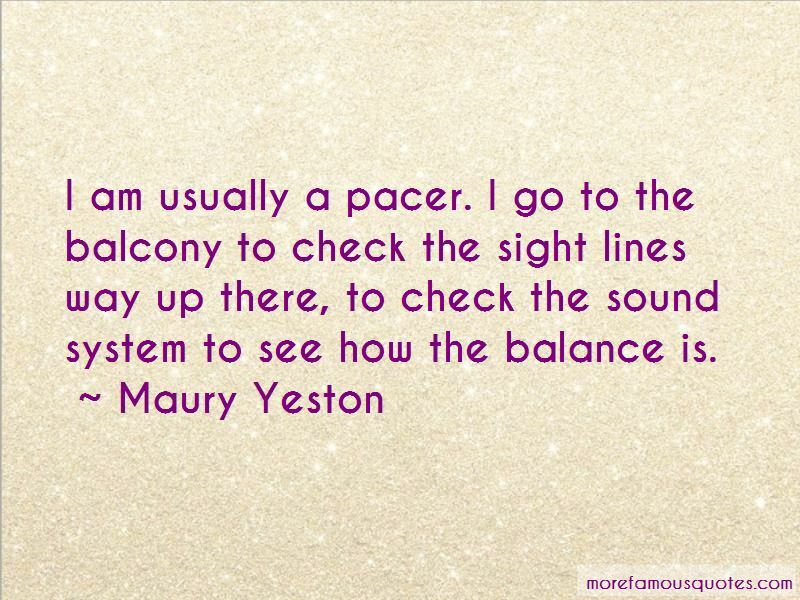 I go to the balcony to check the sight lines way up there, to check the sound system to see how the balance is. Musical theatre is now a worldwide conversation. Rodgers & Hart had a few flops before they clicked. You know, it happens. I don't know anyone who always gets away with everything. The second-class couple is far closer to what the audience is today. It's who we are. Back in the Stone Age, before there were workshops, it was a very difficult idea to get into musical theatre. Normally, you would be a chorus girl or boy and write something. People would get their start as rehearsal pianists or dance assistants. I started playing the piano, pretty much on my own, when I was 5, and I started writing music when I was 7. In fact, I won a composition award. It was a crummy little piece, but I won with it. Not every story in history has a beginning, a middle and an end, but the wreck of the Titanic does. It begins when they leave, in the middle it hits an iceberg, and in the final two hours, the ship sinks. What you get at the BMI Workshop is the rarest commodity in New York City: Friendly criticism; people who genuinely root for you; and a chance to rewrite your work, try it again, and hone your craft. 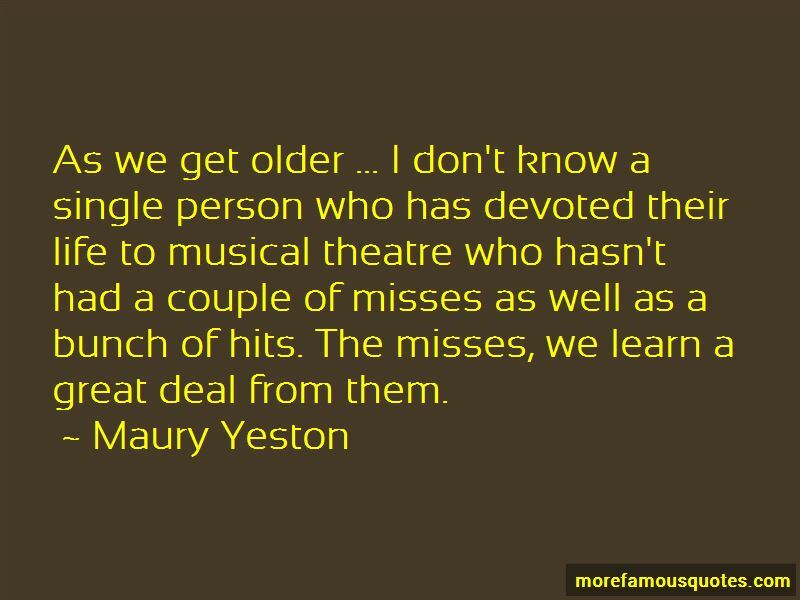 Want to see more pictures of Maury Yeston quotes? 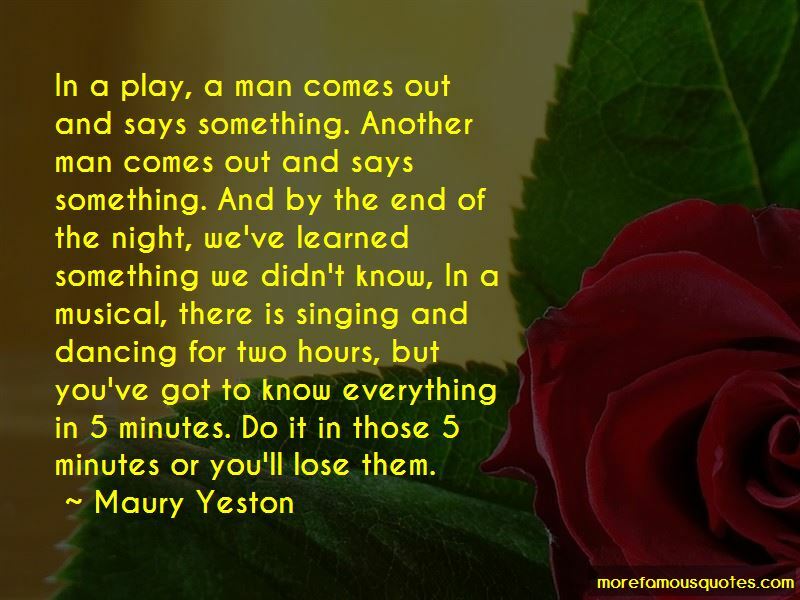 Click on image of Maury Yeston quotes to view full size.